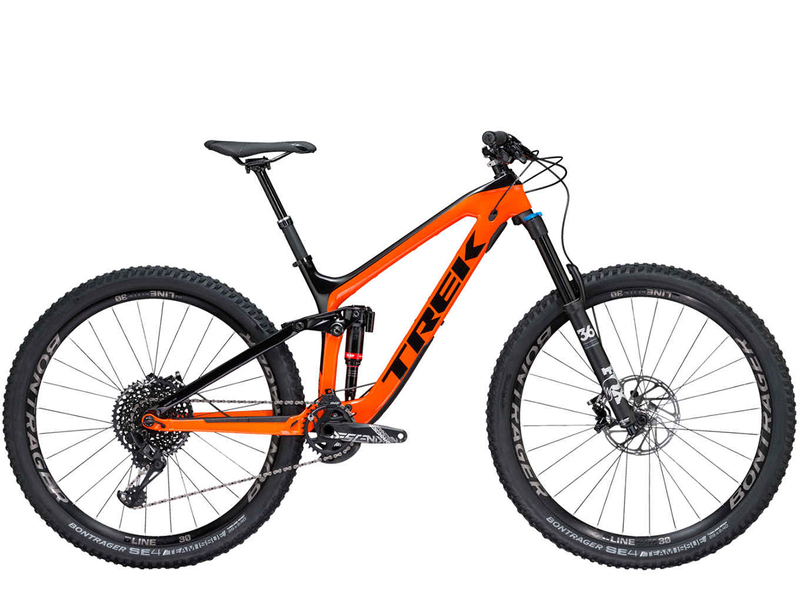 Trek calls the Slash their “best enduro race bike” … but that could mean a bunch of different things these days. Is it a long-legged Trail bike? A mini-DH bike designed for the absolute roughest courses around? There are so many bikes out there that get the “enduro” label attached to them that it’s hard to know. But after spending a bunch of time last year on the Slash’s 27.5-wheeled sibling, the Trek Remedy, I had a pretty good idea of what I was getting into. I was fairly impressed by the Remedy — it could smash it’s way through rough trail with a lot of confidence, but it still was quite good on technical climbs. And since the Remedy and Slash have the same amount of travel, a similar suspension design, and generally similar geometry numbers, I expected the Slash to mostly be a big-wheeled version of the Remedy (which, as far as I’m concerned, would be a good thing). Well, after a few months on the bike, I was sort of right. There’s clearly some shared DNA between the Slash and the Remedy, but there are also some differences that I didn’t quite expect. The Slash 9.8 is built around a carbon front triangle, with a carbon seatstay, aluminum chainstay, and Trek’s Evo Link, which is a solid, one-piece rocker arm. Geometry is adjustable by the “Mino Link” — a flip chip at the rear of the rocker. (1) There’s a zip tie port on the downtube to cinch all of the internally-routed cables together so they don’t rattle inside the frame. (2) There’s enough room for a water bottle in the front triangle, plus there are two extra sets of bottle mounts under the toptube for attaching tools or whatever else. (3) At the bottom shock mount, Trek didn’t just create a big pocket that would inevitably fill up with dirt and sludge — the mount is open at the bottom so debris can flow out. (4) And instead of just using cheap bushings at the shock mounts, the Slash uses bearings to keep things stiction-free and improve small-bump compliance. Other details are less unique to Trek, but are still high quality: nice, custom hardware for all the pivot points, and rubber frame protectors in all of the critical spots. Cable routing is internal, and the ports are clean and easy to use to (mostly) minimize the hassle of stringing cables. My two complaints about the frame are (1) the press fit bottom bracket (I’m still partial to threaded options), and (2) the internal cable ports for the rear brake on the chainstay. These cable ports are too small to fit the brake hose fittings through, which makes stringing a new brake hose a pain. Really, I’d be happier if the rear brake hose was routed fully externally. And then there’s the “Knock Block” system. For those who are unfamiliar, it’s a keyed headset that doesn’t allow the front wheel to turn past roughly 55° in either direction. The reason for this is that Trek runs a straight downtube, from the headtube to the bottom bracket. Trek says this makes things stiffer and lighter, but it means the fork crown would hit the downtube, hence the stopper built into the headset to keep the fork from banging up the downtube in a crash. Inevitably, any discussion about the Slash with random folks at the trailhead will eventually involve talk about the Knock Block system. Everyone seems to think that it’s a huge deal breaker, that you can’t ride switchbacks with it, and that it substantially limits the bike’s slow-speed maneuvering. I’m not sure that I’m going to put those concerns to rest here, but all I can say is that, in my time on both the Slash and the Remedy, the Knock Block has been a non-issue. I can think of two extremely tight switchbacks where I felt the steering hit the block for a brief moment. It didn’t prevent me from getting around the switchback, and if the switchback had been any tighter, I wouldn’t have been able to get around it with the wheels on the ground anyway (i.e., anything tighter would’ve required hopping or some sort of pivoting maneuver, even on a bike without any steering block contraptions). And on even tighter switchbacks that did require some hopping, I didn’t notice the Knock Block at all. I’ve ridden plenty of tighter, slower trails, and the Knock Block has never been an issue for me. So for whatever it’s worth, despite what are apparently widespread concerns, I just haven’t had any problems with the Knock Block on the trail. Beyond the more minor features of the frame, the Slash uses the same basic ABP design that’s found on all modern Trek bikes. That means a four-bar linkage with the rearmost pivot being concentric to the rear axle. In the past, some of the Trek frames used a “full floater” design, with both the upper and lower shock mounts being dynamic, but that’s gone for the 2018 Slash — the bottom shock mount is now attached directly to the front triangle. 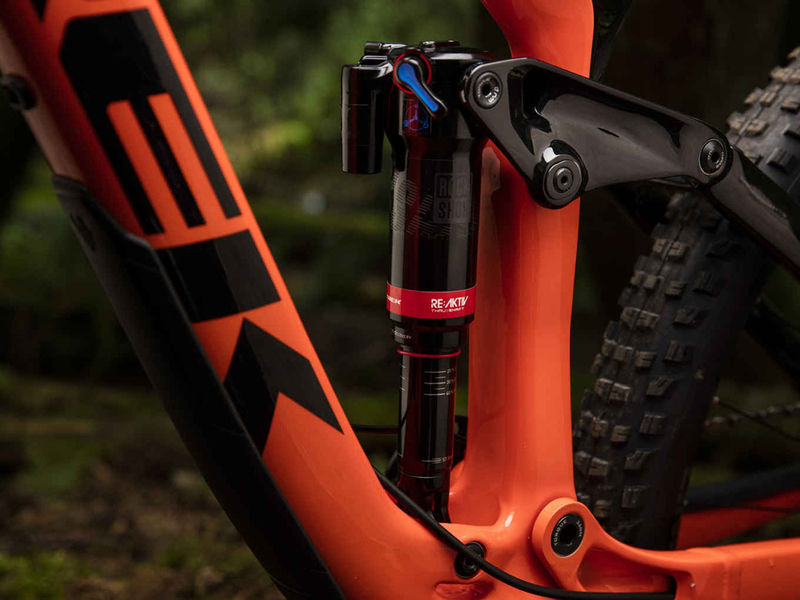 What’s new for the 2018 Slash, however, is a thru-shaft shock from Rockshox. The big change for the Slash’s suspension this year is the Thru Shaft shock, which is something that is unique to Trek bikes. “Normal” shocks from pretty much any of the major shock manufacturers function more or less similarly: as the shock compresses, an internal shaft is pushed into some oil. Attached to that shaft are assorted valves and ports that the oil is forced through. Adjusting those valves and ports is what adjusts the shock’s damping characteristics — basically how easily and quickly the shock can compress and decompress. But as the shock compresses and that internal shaft is pushed into the oil, it displaces some of that oil — the shaft takes up space, so that displaced oil needs to go somewhere. And that oil displacement is handled by a gas-backed piston, usually referred to as an internal floating piston (or IFP). The problem here is that the IFP has some seals on it — it needs to keep fairly high-pressure gas (usually nitrogen) on one side, and oil that’s also been subjected to pretty high pressures (from the shock compressing) on the other side. That creates two issues: (1) if the seals don’t do their job and air gets into the oil side (or vice versa) the shock doesn’t work as well. That’s a pretty common mode of failure for some shocks. But also, (2) the IFP and its seals are a noteworthy source of stiction in the shock, particularly when the shock is changing direction. Seals like those found on the IFP slide pretty smoothly once they’re moving, but they tend to hang up a bit every time they have to reverse direction. And in the case of the IFP, the seals have to reverse direction literally every time the shock compresses and decompresses. This means, especially on smaller, chattery bumps, there tends to be an inherent stickiness that’s tough to get rid of. Enter the Thru Shaft shock on the Slash, which essentially gets rid of the IFP and all of the seals that go with it. As the name implies, the Thru Shaft runs all the way through the shock — when the shock compresses, the damper shaft protrudes out the bottom of the shock. What this means is that, as the shock compresses, the shaft doesn’t displace any oil, and thus there’s no need for an IFP to deal with that displacement. So since there’s no IFP, there’s less of an issue with air getting into the oil, and that stiction that comes with the IFP’s seals is removed. Now some people may have noticed that there’s still a mini piggyback attached to the Thru Shaft shocks, and normally, a piggyback is where the IFP would be located on more downhill-oriented shocks. So if there isn’t an IFP, why is there a piggyback? Well, the Thru Shaft doesn’t displace any oil, so it doesn’t need an IFP in that context. But on long descents, shocks get really warm, and the oil inside them will expand a bit due to the heat. On “normal” shocks, the IFP deals with the oil displacement both from the shaft and any extra oil volume that gets created due to thermal expansion. Since the Thru Shaft shock doesn’t have a traditional IFP, it needs a way to address the thermal expansion, hence the mini piggyback. So yes, there actually is an IFP in the piggyback, but since it only deals with thermal expansion, it doesn’t move every time the shock compresses — it only moves when the oil heats up and expands. And that means that the stickiness and potential durability issues of the IFP are fairly insignificant. The IFP in that mini piggyback is maybe moving a tiny bit, a couple of times over the course of a long descent, rather than moving back and forth with literally every compression of the shock. So does all of that techno babble make a noticeable difference? Yeah, it does. I had the chance to ride the Slash back-to-back with the stock Thru Shaft shock as well as a Rockshox Super Deluxe — the top of the line “normal” (i.e., non-Thru-Shaft) shock that Rockshox makes. The Thru Shaft is noticeably smoother and more responsive over small bumps, and it keeps the rear wheel more planted through choppy sections of trail, which is most noticeable in corners where traction is at a premium. And beyond the Thru Shaft gadgetry, the Slash’s shock still sports Trek’s RE:aktiv tune, which they’ve done for a few years now. Basically, it’s a speed-sensitive valving system designed by Penske that helps the shock respond to the various inputs it runs into on the trail. Speed-sensitive damping refers to the speed that the shock is compressed. So for low-speed situations where the shock isn’t being compressed too quickly (e.g. pedaling forces and pumping the bike), the damper resists that movement and provides support. But when the shock is compressed quickly (e.g. smashing into a rock), the RE:aktiv damper opens up and allows the shock to compress more freely. And this type of regressive damping (regressive, meaning that there’s more resistance at lower speeds and less resistance at higher speeds) is different from how many other dampers work, where higher-speed compressions result in the most resistance from the damper. 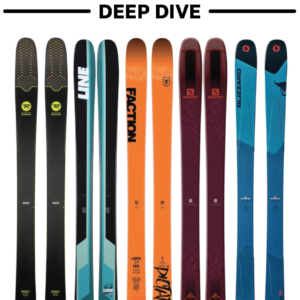 The Slash 9.8 is the top-of-the-line complete Slash. There’s also the less expensive ($4,499) Slash 9.7, which gets a bump down in the parts spec, and switches to an aluminum seatstay, but it retains the Thru Shaft shock. The Slash is also available as a frameset for $3,699, which is the same frame and shock that I rode on the Slash 9.8. I’ve already expended far too many words on the rear shock, but front suspension is handled by a Fox 36 Performance, which means it’s the 36 chassis with Fox’s Grip damper. This is situated as more of a “value-oriented” fork, and no, it doesn’t have the fancy Kashima-coated legs. But it’s a solid unit, and I think it’ll work well for most people. It took a bit of time for me to find the right balance of small-bump suppleness and cornering support, and I never could quite get the fork to match the rear end’s smoothness over bumps. But I think that’s more to the credit of the rear shock than a problem with the fork. The drivetrain on the Slash 9.8 is Sram GX Eagle with Sram Descendent cranks and an MRP AMg guide. If I were building this bike from scratch, this is more or less the drivetrain I’d put on it — great gear range, functionally solid, and good bang for the buck. So yeah, no complaints there. Braking on the Slash 9.8 is handled by Sram Guide RS stoppers with a 200 mm rotor up front, and a 180 mm rotor in the back. Again, I’m a big fan. The Guide RS gets the same power and modulation as the top of the line Guide RSC model, but for a lower price. And I find them to be a big step up from the lower-end Guide R, which misses out on modulation points since they don’t have the swing link mechanism (which is the “S” in the “RS”). The Slash is rolling on Bontrager Line Elite 30 wheels, which feature a 30 mm internal-width rim, and hubs with an excellent 108 points of engagement. These are pretty solid wheels, and the wide rims are great on a bike like this, since they’ll happily run a range of tire widths — they work well with anything from a 2.3” up to a 2.6.” I did have to put a round of tension on the spokes after around 200 miles, so the wheels aren’t built as well as some high-end, hand-built hoops. But all in all, I don’t have too many complaints about them. Attached to those rims are the Bontrager SE4 tires, which I’m pretty ok with. I like the SE4 as a rear tire, but I’d rather have a SE5 in the front. The SE4 doesn’t quite have the confidence-inspiring cornering knobs that something slightly meatier like the SE5 (or, for that matter, a DHF) does. But the SE4 rolls relatively quickly and has decent straight-line traction for both climbing and braking. All in all, they’re a solid option, and given that I’m moderately picky about tires, I can’t really complain. My biggest complaint about the Slash 9.8’s build was going to be the dropper post — the Bontrager Drop Line post works well enough, but on the 17.5” frame I tested, a 125 mm post was included. And while 125 mm dropper posts were standard just a couple years ago, it feels pretty short these days; I was constantly wishing for more drop. But then I put a 150 mm dropper post in and figured out why Trek doesn’t spec a longer post — the seat tube is really short. For my relatively long legs, the 150 mm post worked fine, but for anyone who needs to drop their post further into the frame, chances are the post would bottom out at the kink in the seat tube. And that’s just an inherent conundrum with a longer-travel 29er and this frame design — making clearance for the wheel at bottom-out means the seat tube gets a bit funky. Long story short: do some measuring before you try to upgrade to a longer dropper post on the Slash. Unlike some of the other bikes in Trek’s lineup, the Slash only comes in four sizes — a 15.5”, 17.5”, 19.5”, and 21.5”, which can roughly be translated to Small through Extra Large. While I rode an 18.5” Remedy, that size isn’t available in the Slash, so I opted to size down to the 17.5”. Unfortunately the sizing jump from the 17.5” to the 19.5” is quite large — there’s about a 30 mm difference in the reach and top tube measurements. So that means I, and others that are around 5’9” – 5’10” tall might find themselves between sizes. But that’s not to say that the 17.5” is a tiny bike — the reach comes in at 431 mm, which is somewhere around average for a Medium-sized bike these days. The effective top tube measures 605 mm, which is again is pretty average for a Medium. At the back of the bike, 433 mm chainstays are average-ish for a 29er. I tend to prefer bikes with slightly longer stays because I think it helps out on corners, but it also can make the bike feel less maneuverable, so the Slash hits a decent middle ground here. The Slash’s seat tube is one of those “effectively steep, actually slack” deals, which basically means that the position of the seat relative to the bottom bracket changes fairly dramatically depending how high the seat is raised out of the frame. I have long legs and tend to run a lot of seatpost, so I felt a bit perched off the back of the bike. That’s not out of the ordinary for a bike like this, but the Slash doesn’t find some magical way around it. As I mentioned previously, the Slash’s geometry is adjustable with the Mino Link, which slackens the head tube by about .5° and lowers the bottom bracket by around 7 mm. In low mode, the head angle is a decidedly slack 65.1°, which makes the Slash one of the slackest 29er’s on the market. Those slack angles mean the Slash’s wheelbase is still relatively long, despite not having huge reach or chainstay numbers. The 17.5” I rode had an 1186 mm wheelbase, which is far from short for a bike of that size, and that contributes a healthy amount to the Slash’s stability at speed. And if those numbers (and particularly the discussion about actual vs. effective seat tube angles) are a bit confusing, take a look at our Geometry 101 and 102 articles. As I said at the outset, I came into my time on the Slash expecting it to have a lot in common with the Trek Remedy, which I found to be an excellent technical climber, and on the “stay low and plow” end of the spectrum when it came to descending. 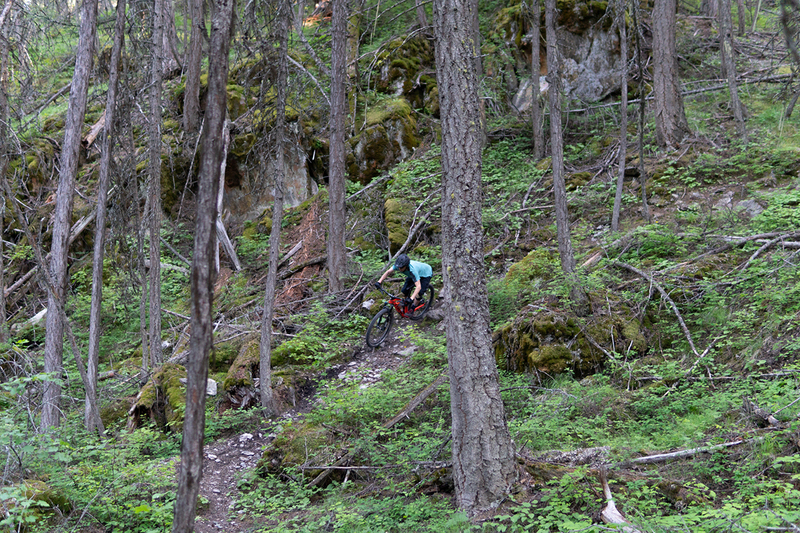 And while the Slash is clearly a close relative of the Remedy, it performs a bit differently on the trail. Sure, there are some expected differences due to the bigger wheels, but the Slash also just felt like a bit “more” bike in a number of situations. 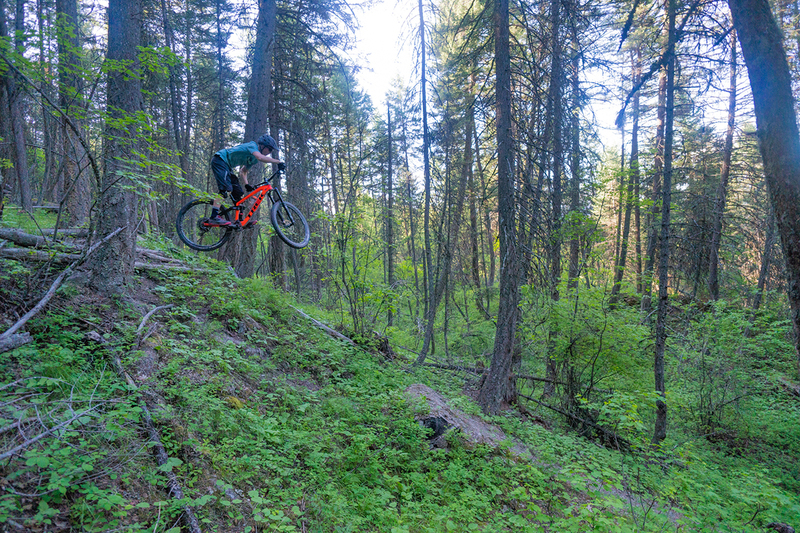 On the way up, the Slash is acceptable, but not mind-blowing or class-leading. The RE:aktiv tuning on the shock undoubtedly gets some credit for preserving some pedaling efficiency, but it still feels like the suspension kinematics prioritize small-bump sensitivity and descending prowess (which shouldn’t come as much surprise on a bike like this). So on smoother climbs, there’s some noticeable pedal bob, but it’s perhaps a bit less severe than on other comparable bikes. But while the most efficient bikes in this class fare just fine without the use of “trail mode” or lockouts on the shock, for longer climbs I definitely found myself flipping the shock into pedal mode on the Slash. On steeper, more technical climbs, the Slash’s extra-slack geometry is fairly noticeable — it takes some work to keep the front end planted, and the front wheel likes to wander around a bit. Putting the Mino Link in “high” mode makes a noticeable improvement, but it sacrifices a bit of the slack, low-slung stability on the way back down. Personally, I ended up mostly leaving the bike in low mode and just dealing with a wandery front end on climbs. This is one area where the Remedy was clearly different (and better). The Remedy is one of the best technical climbers I’ve ever ridden, while the Slash is pretty average amongst longer-travel, slack bikes (which is to say, not all that great). 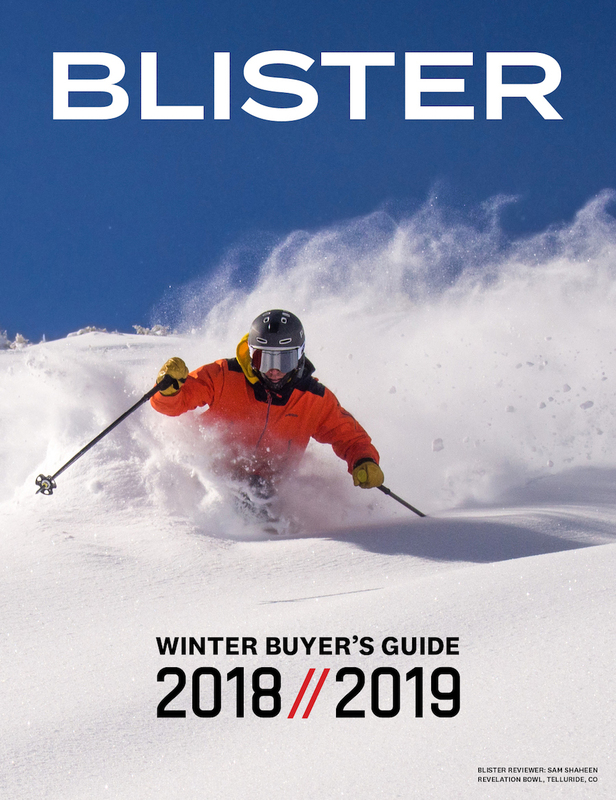 In case it wasn’t obvious from the travel, geometry, component selections, and Trek’s marketing copy, the Slash is built to prioritize descending. And, unsurprisingly, it’s entirely competent in pretty much any situation where the trail points downhill. 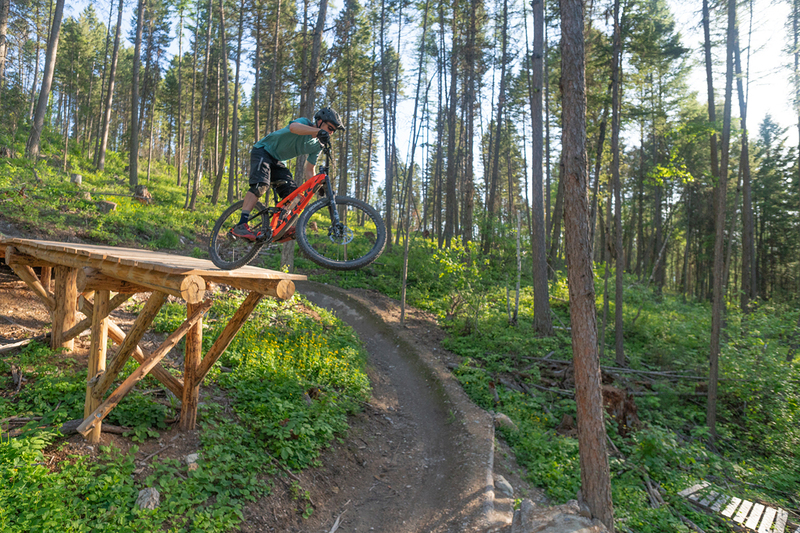 With a super slack head angle and moderately long wheelbase, the Slash falls more on the “stable at speed” end of the spectrum, as opposed to some other bikes that feel more flickable and maneuverable in tight spots. That said, the Slash doesn’t feel entirely unwieldy at slower speeds. A fairly stiff frame and a not-super-long rear end make tucking the rear end into corners a do-able achievement, and it helps wiggle the bike through sections that are perhaps more appropriately ridden on shorter, steeper bikes. And that slack front end helps out a bit too — the front wheel is well out in front of the handlebars, which means it’s possible to ride fairly forward on the bike without feeling like you’re going to go over the bars. And for that same reason, smashing into holes at speed (even those sneaky unexpected holes that seem to appear out of nowhere) tends to be relatively uneventful. A very slack head angle + a decent amount of travel + 29” wheels = holes and bumps have to be really big before they matter. I got into this a bit in the discussion of the Thru Shaft shock, but one of the areas where the Slash really shines is on chattery junk that tends to make bikes skip around and lose traction. On small roots and rocks, particularly in places where traction is at a premium, the Thru Shaft does an impressive job of keeping the rear tire hooked up where it otherwise might skitter around a bit. And when I mounted up the non-Thru-Shaft Rockshox Super Deluxe, some of that traction and smoothness was noticeably absent. Now, on large impacts, there wasn’t much of a difference between the Super Deluxe and the Thru Shaft — both were fine, and the tuning on the Super Deluxe maybe even handled the biggest impacts a bit more smoothly. But when trying to hold speed through a choppy corner, or trying to stay smooth through a debris field that has no particularly clean line, the Thru Shaft does an impressive job. And it’s worth noting that the Thru Shaft wizardry is on top of what was already an excellent suspension design. I’m generally a fan of the ABP pivot layout as it does a good job of keeping the bike smooth under heavy braking. So on steep descents where myself and most other normal people are dragging a healthy amount of rear brake, the suspension stays relatively active. And the Slash’s suspension kinematics help out too — the leverage ratio is moderately progressive and consistent throughout the bike’s travel. 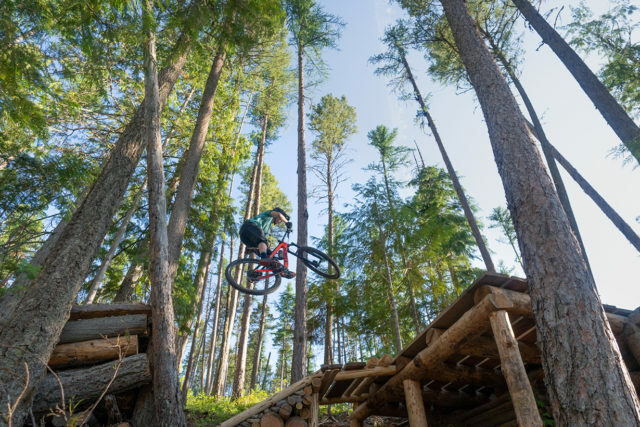 In addition to the natural progressiveness that comes with an air shock, that progressive suspension design helps the Slash handle big hits without getting crushed, but also without being so progressive that it’s tough to make use of all the bike’s travel. Trek’s RE:aktiv tune helps the situation here too. It does more or less what it’s advertised to do, which is stay a bit firmer on low-frequency inputs (like pedaling), but allow the shock to move freely over bigger impacts. Every once in a while, I seemed to get some spiking out of the rear shock where it’d firm up more than necessary on a medium-sized hit, but that was relatively rare. I should also note that with the RE:aktiv shock on the Remedy, I found that small differences in air pressure made pretty significant differences in how the shock rode. With the Slash, I didn’t find the shock to be quite as sensitive to tweaks to the air pressure. Maybe that’s just because it’s a different frame, or maybe the RE:aktiv tune was adjusted a bit for the Thru Shaft shock. The big question I had coming into my time on the Slash was “How viable is it as a Trail bike?” Enduro bikes are a ton of fun, but ultimately, I’m looking for a bike that I can do everything on, including bigger, longer rides. And so I was curious to see if the Slash felt like too much bike for that sort of versatility. And I think the answer to that is: it depends on where you live. 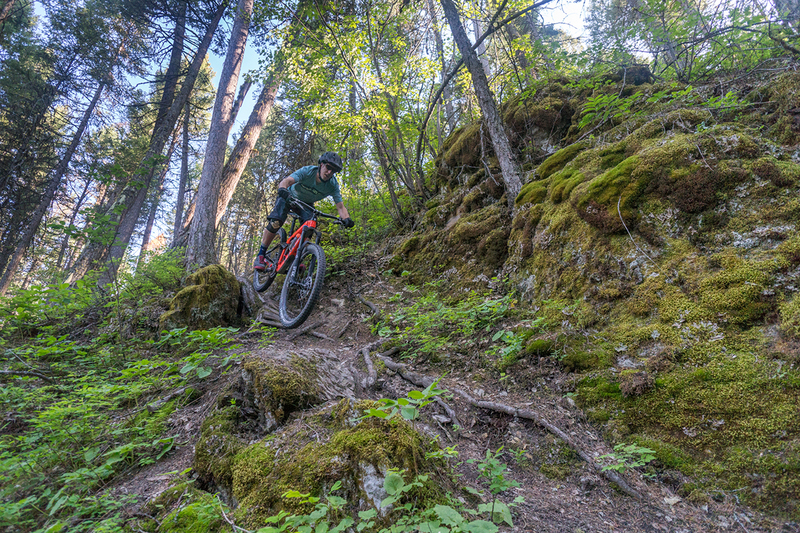 I’ve done a number of long rides on the Slash, and I didn’t mind putting in lots of mileage and vert on it, mostly because I knew those long miles led to some ripping descents where the Slash would really be in its element. So to put it another way, the Slash is ok enough on the climbs that I’m willing to deal with it on the up, because it’s so damn fun on the way down. 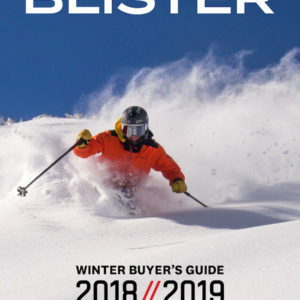 But if your local descents tend to be a bit smoother, or a bit flatter, the Slash might be overkill, and you might fare better with something less aggressive. Trek calls the Slash an Enduro bike, but a lot of companies slap an “Enduro” label on almost anything these days, so where does the Slash fall into that broad, overused category? For my purposes, and for the Enduro races I’ve done, I’m tentatively going to claim that the Slash is the best Enduro bike I’ve ridden. I’ll get into some more specific comparisons below, but the Slash hits the middle ground of the Enduro category better than any other bike I’ve been on (although I certainly haven’t ridden every bike that’s a contender). The Slash is good enough on climbs that I’m not wasting an excessive amount of energy on transfer stages. It’s slack and stable through legitimately rough chunder, and the suspension handles both small chop and big hits competently. But it’s also not quite as big a bike as some of the longer-travel options, and thus the Slash feels more efficient and quite a bit snappier on the smoother, flowier, pedalier descents (and it seems like most North American Enduro races have at least one of those stages to weed out the folks who can’t pedal). So in other words, for any singular Enduro stage, there might be better bikes out there, but I haven’t come across any that cover all of the likely Enduro scenarios quite as well as the Slash. I’ve spent less time on the newer Stumpjumper 29 and the Enduro 29 — most of my time has been on the 650b models, and I haven’t spent any time on the new 2019 Stumpjumpers. But even though the Slash falls in between the Enduro and Stumpjumper lineups in terms of travel, the Slash is clearly closer to the Enduro 29 in terms of intentions and capabilities. The Enduro 29 has a bit more travel, but the Slash 29 is slacker. I’d also say the Slash’s frame feels a bit stiffer, but that’s tough to quantify. 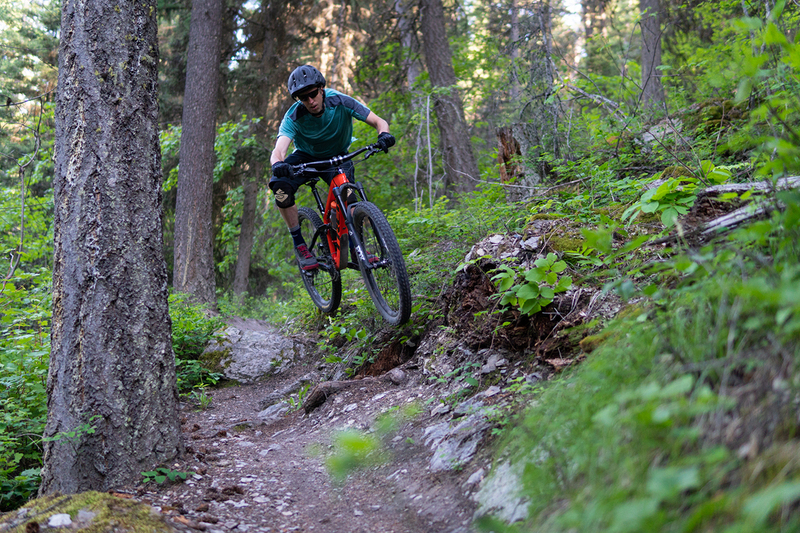 I’d say that both the Enduro and the Slash are in the same neighborhood in terms of climbing, and they’re probably not too far off from each other in terms of straight-line stability on descents. Particularly with the Thru Shaft shock, I’d give the Slash the nod in terms of small-bump compliance, and I find Trek’s ABP suspension design to be smoother than the Enduro 29’s FSR link under hard braking. I’ve spent a lot of time on the regular Hightower, but the Slash is clearly more comparable to the Hightower LT, which I’ve only bounced around on in a parking lot. So take this comparison for whatever it’s worth. The Hightower is considerably more efficient pedaling than the Slash, but the suspension is also considerably less supple on the descents. Particularly on small chatter, the Slash is quite a bit smoother, and does a better job at maintaining traction because of it. On the whole, the Slash feels like a bike more designed with descending in mind, whereas the Hightower sacrifices a good bit less in terms of climbing prowess. When I reviewed the SB5.5, I called it the fastest bike I’d ridden. And for a lot of the trails that I ride most frequently, I’d say that still holds true. The Yeti is snappier on the pedals than the Slash, it’s lighter, and it’s a more efficient climber. But the steeper the trail gets, the rougher things get, and the more technical things get, the Slash starts to pull away. The Slash is slacker, more stable, and the suspension is more supple. On a smooth-ish descent with a lot of windy corners, I’m pretty sure I’d be faster on the SB5.5, although the Slash would be hot on its heels. But for legitimately rowdy descents, and places where I need a bike to handle both small chatter and big impacts, the Slash wins out. Overall, I’d put the SB5.5 a little more on the Trail bike end of the spectrum, while the Slash is more downhill-oriented. And on those descents, I’d say the Slash is just a bit more comfortable to ride — the SB5.5 felt like it wanted me to be cranking on the pedals at all times. The Slash is happy to go race pace, but it’s also a bit more fun to cruise around on and pop off all those little things in the trail that are only sort of jumps. Also, check out our 29er Comparison Guide to see where we placed the Slash compared to a few other bikes. I don’t have anything catastrophic to report here; the Slash held up pretty well over about 3 months of testing. A few of the bolts in the suspension have loosened up a couple of times, but nothing catastrophic happened. The rear derailleur also tends to work itself loose, but that’s a pretty common problem that I’ve seen with Sram derailleurs (although I’d note that it seems to happen more often on bikes like the Slash with pivots concentric to the rear axle). As I mentioned earlier, the spokes needed some tensioning, and the rims have incurred a few dents. The Thru Shaft shock is also starting to sound a little wheezy, so I’m guessing it’s about due for a rebuild. But given the amount of hours I have on it (many of which have been on legitimately rough trails), the fact that the shock is ready for some service doesn’t seem premature. Other than that, the Slash has a few hundred miles on it, and is still running smoothly and quietly. Long-travel 29ers tend to feel like big bikes, and especially on bikes that (like the Trek Slash) have big wheels, slack angles, and long wheelbase. Such bikes usually feel less than maneuverable. And while I don’t want to give the impression that the Slash doesn’t feel like a big bike (it does), it somehow manages to tread the fine line where it doesn’t feel too big. Which ultimately means that (1) it’s more fun because the bike isn’t completely devoid of a playful feel, and (2) it feels slightly less dumb on trails that aren’t really steep enough or rough enough to push the bike to its limits. 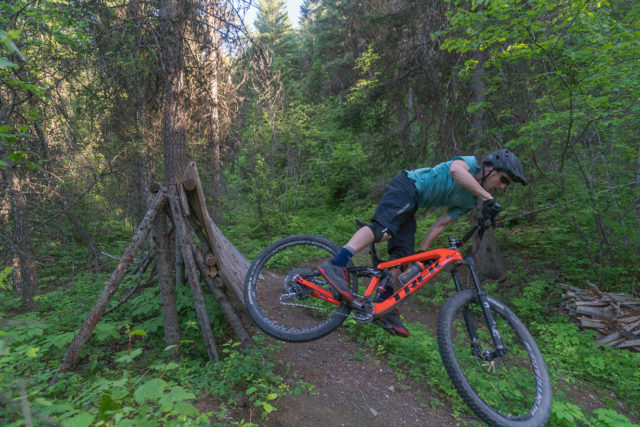 And this is also why I think the Slash is one of the best Enduro race bikes I’ve ridden: it has the stability that comes with a super-slack headtube, the bump-sucking prowess that comes with the excellent rear suspension, and the smooth-rolling smashiness of 29” wheels. 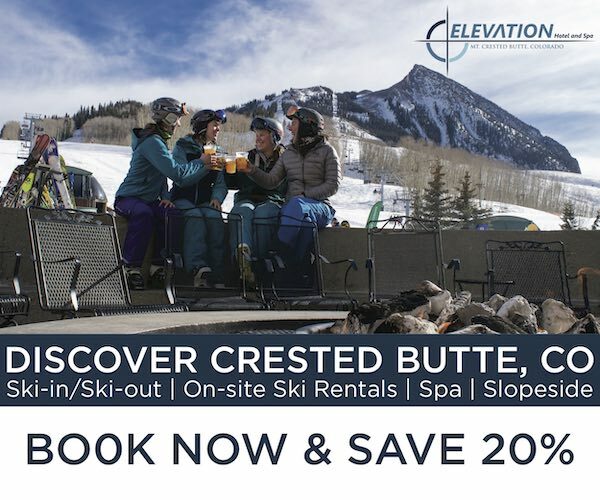 But it wraps those features into a slightly shorter-travel / more efficient package that’s still more or less competent when the course isn’t quite as steep and gnarly. In other words, it’s a monster truck with just a dash of reasonableness added to it. But ultimately, it’s when things are steep and gnarly that the Slash feels like it’s in its element. It’s not the longest-travel bike out there, but it makes good use of its suspension and it has the geometry to keep things comfortable when the trail drops straight down the fall line. 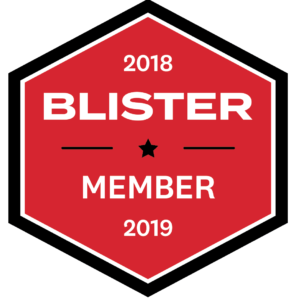 So if you’re looking for a destroyer of the steep and technical, but in a package that hasn’t completely forgotten how to pedal uphill and have fun on flatter, smoother trails, the Slash may well be your ticket to fame and glory. Damn, that was a good, super-thorough review. Ah! Good catch! Yeah – it’s the regular Grip damper. We’ll fix that. Can I ask if you remember the settings you had for each? And how many volume spacers in either shock? Best written review of the Slash. It encompassed every point possible. Noah, curious how tall you are as I’m in the same situation, typically ride a 18.5 and it fits great. I was thinking of going 19.5, but saw you went 17.5. Thanks, great write up!